DR PEPPER DALLAS CUP MARQUEE GAMES MOVING TO COTTON BOWL IN 2013 | Dallas Cup, Inc.
DALLAS (November 20th, 2012) – The Dr Pepper Dallas Cup will have a new home in 2013, moving its marquee games to the historic Cotton Bowl at Fair Park in Dallas. The move aligns with efforts the new nonprofit organization, Heart of Dallas, is making to stage must-see sports and entertainment events that will inspire the next generation of Dallas influencers and philanthropists. Proceeds from the events will benefit Dallas charities. Following the January 1, 2013 Heart of Dallas Bowl presented by PlainsCapital Bank, the Dr Pepper Dallas Cup will be the second sporting event in tied to Heart of Dallas’ year-round calendar of events. One of the most prestigious international youth soccer tournaments in the world, the Dallas Cup draws approximately 180 teams in the U13 to U19 age groups from across the country and around the world to the Metroplex. Since its inception in 1980, Dallas Cup has played host to teams and referees from more than 45 states, 100 countries and six continents. The tournament is held every spring from Palm Sunday to Easter Sunday and draws more than 160,000 spectators annually. Beginning in 2013, the Cotton Bowl will host select matches of the elite Gordon Jago Super Group, which feature a selection of 12 U19 teams. In recent years, the Super Group has featured youth squads from Manchester United, Chelsea, FC Barcelona, Real Madrid, Eintracht Frankfurt, Sao Paulo, AC Milan, Club America, and other top global soccer powers. All other tournament games will be held on soccer fields at Richland College and the University of Texas at Dallas. "We’re excited to return the Dr Pepper Dallas Cup to our city and historic Fair Park," said Phillip Jones, president and CEO of the Dallas Convention & Visitors Bureau. "With its more than $12.6 million economic impact, the Dallas Cup will be one of the largest annual sporting events held in Dallas." Dallas Cup tournament matches had been held primarily at FC Dallas Stadium in Frisco since 2006. Jago said that the tournament’s long-standing relationship with FC Dallas will continue to be an important part of the Dallas Cup’s future. "I would like to thank the Hunt Family, FC Dallas, and FC Dallas Stadium for their years of unwavering support for the Dallas Cup and growth of soccer in this region," said Jago. "We look forward to working together for many years to come." 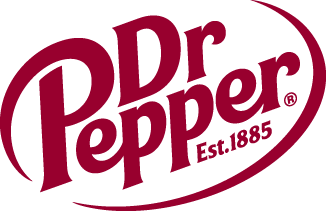 Another relationship that will continue beyond the venue change is Dr Pepper’s title sponsorship of the Dallas Cup, according to Jim Trebilcock, executive vice president of marketing for Dr Pepper Snapple Group. Visit www.dallascup.com for the latest news.